In this tutorial, you will learn how to use Twitter Bootstrap toolkit to create headings, paragraphs, lists and other inline elements. From line number 286 to line number 515 of bootstrap.css of Twitter Bootstrap Version 2.0 contains styles for Typography. 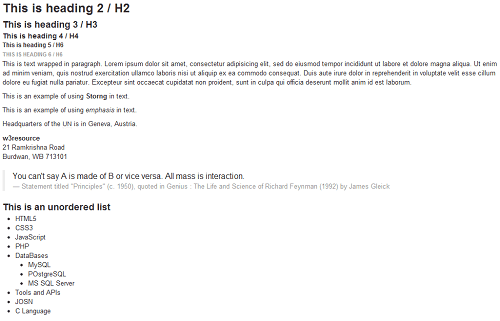 We have modified h1, h2, div.container-fluid div.sidebar, .content selectors of the default css.